Jeep received his first shot of anesthesia before his first birthday. His caregivers wore lab coats. His childhood was spent at the tip of a needle. HIV, hepatitis, blood research - medical research had made a pincushion out of this primate. If there was one tender mercy to being born and raised in a laboratory, it was being housed with his mother and father at the New York Blood Center's (NYBC) Liberian laboratory. Their hardship - being infected with a battery of diseases, constantly nursing open wounds - made their natural bond even stronger. Together, Jeep and his parents would make several escapes from the facilities - always with the same outcome. A few hours of freedom followed by a tranquilizer dart. Wake up and smell the laboratory. But after years at the lab, the little family stopped dreaming of their getaway. 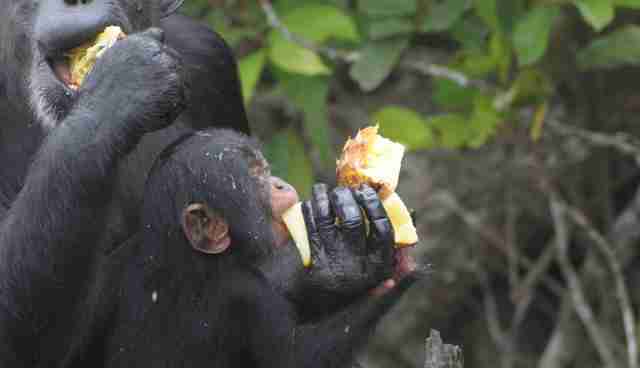 Around a decade ago, they were among dozens of chimpanzees deemed expendable, their contributions to science apparently spent. The Liberian lab was shut down. 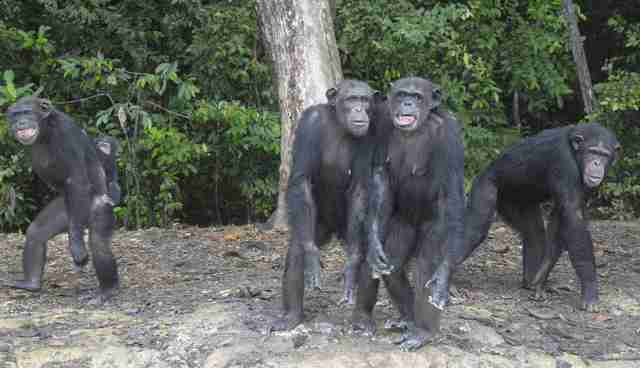 The chimps were stranded on a series of islands in Liberia. At first, it seemed a sweet release. The lab provisioned the colony with food and water for the next decade. But then decided to abandon them. 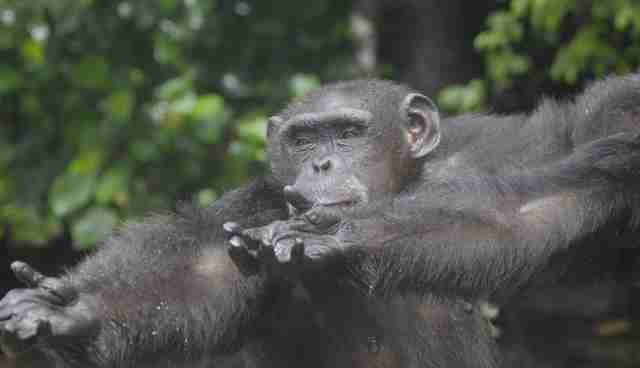 In 2015, the chimps were left to fend for themselves on an island with no natural food source. Freedom suddenly looked like famine. "Imagine yourself stuck on a deserted island and you can't get food," Jim Desmond of the Humane Society of the United States (HSUS) says in a YouTube video. "You'd be desperate. It would be an awful, awful way to go. "And these guys, the chimps, don't even know why." 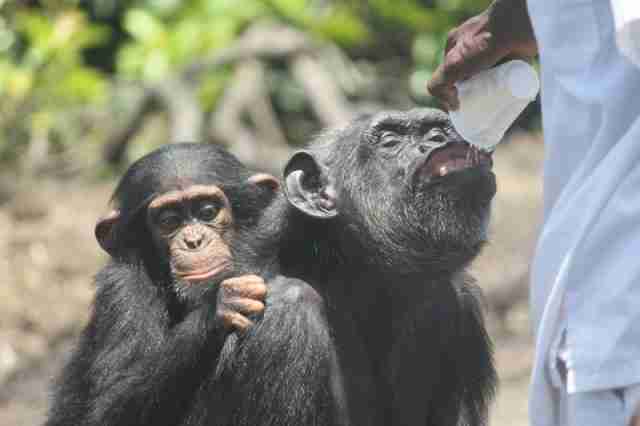 HSUS and others rallied for these chimps. Funds were raised. Veterinarians and volunteers went to the island to care for them. Caretakers from Liberia journeyed to the islands to help. Facebook pages sprung up to organize donations and hold NYBC accountable. "I know, if it had not been for the help of the Humane Society, I tell you by now, all of the chimps would have been dead," Joseph Thomas, a Liberian caretaker, adds in the YouTube video. 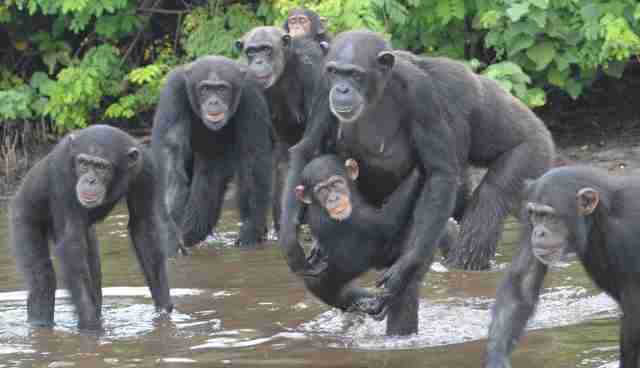 Amid that tide of compassion, these apes began to prosper. True to his clinical upbringing, Jeep's home is simply dubbed Island 3. And, also like his former home, Jeep still lives with his mother. Sadly, his father has since died. Today, Jeep is reclaiming the childhood that was denied him at the New York Blood Center. 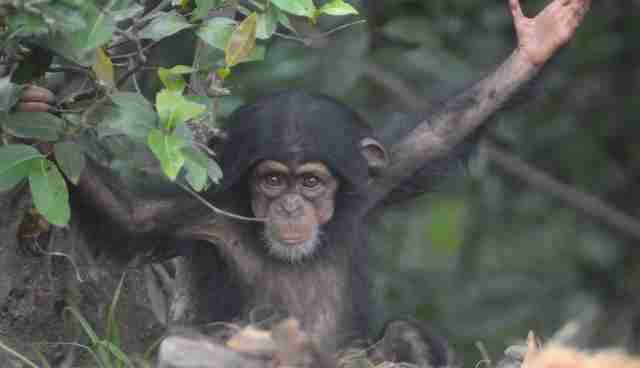 "Jeep has grown into an extremely large, strong chimpanzee," Save the Abandoned Chimps writes in a Facebook post. "He is quite well-known for throwing rocks or coconuts if he does not receive what he wants quickly enough. 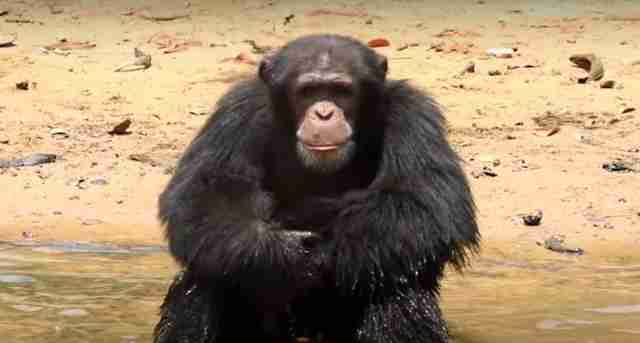 "Besides practicing his aim, Jeep enjoys wrestling with Yuletide, one of the oldest - and largest - chimpanzees." You'll forgive Jeep's rambunctiousness. You see, he's made the greatest escape of all. And can't help but want to celebrate every day of his new life. The Humane Society of the United States is still waging a campaign to hold the New York Blood Center accountable for leaving these animals to die. If you would like to join the fight, click here. 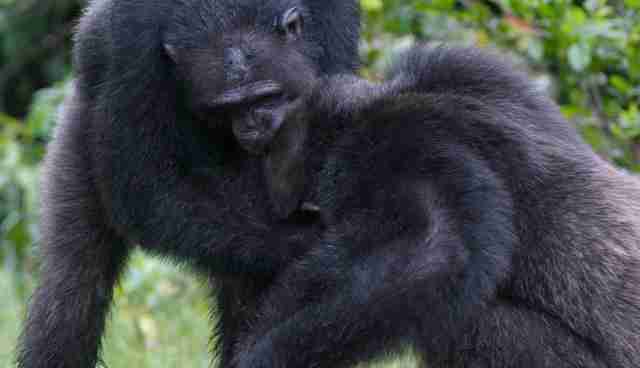 You can also help support these apes by making a donation here.